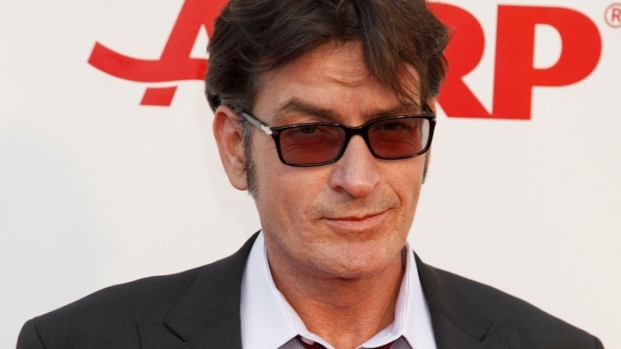 Actor and warlock Charlie Sheen got the two ends of the spectrum during the weekend debut of his tour -- boo's in Detroit and an ovation in Chicago. Tiger blood devotees in Detroit ended their Saturday night by cutting out of Sheen’s show early and demanding refunds, but that didn’t stop Sheen from receiving a standing ovation in Chicago the night after. Charlie Sheen's "Violent Torpedo of Truth/Defeat Is Not an Option" tour opened in Detroit on Saturday night to a less than stellar review. But it's not a complete downward spiral of goddesses, warlocks, and novelty T-shirts. The tour’s opening night in Detroit had started innocently enough, with many fans sporting homemade gear and quoting one of the actor’s many eccentric catch-phrases. "You cannot walk through the crowd without hearing someone say 'Winning!'" Entertainment Weekly live-blogged from the theater. Sheen took the stage in Detroit to a standing ovation, according to Entertainment Weekly, calling himself "a giant and leaky bag of mayhem.” The rest of Sheen’s show in Detroit didn’t seem to be what the crowd expected. CNN said Sheen showed clips of movies with no context, and continually insulted audience members and the Motor City itself. When cheers turned to boos, Sheen retorted, "I already got your money, dude!" That didn’t sit well with the audience members, and they began leaving, The Detroit Free Press reported. Sheen himself vacated the stage before his show was slated to be over. Chicago movie critic Richard Roeper tweeted from the audience, “Whatever you’re doing right now, including sleeping, it’s probably more engaging than this,” the Daily News reported. Sheen’s “Torpedo of Truth” tour continues in 18 more cities, making stops in New York, Atlantic City Dallas, and San Francisco.